Boom Burger on Portobello Road brings a little piece of Jamaica to London with its explosive Caribbean flavours and heady cocktails. Reopened in March 2017 after a refurb, the burger joint now has a new tempting menu, including the Fried Chicken Boom with buttermilk fried chicken, scotch bonnet mayonnaise and house slaw; the Avocado Boom, made with a juicy beef patty, cheese and fried avocado slathered in scotch bonnet sweet chilli sauce; and the classic Mad Boom, with two patties, chunks of cheese and bacon jam. As well as burgers, diners can feast on peppered shrimp, sticky wings, saltfish chilli and herb fritters, and a fish salad with crispy pan-fried red snapper. Cocktails include a creamy Pina Colada, Rum Punch and Tropical Storm, which can be sipped on while enjoying reggae, hip hop and dancehall beats. Boom Burger gyms, sporting activities, health & beauty and fitness. 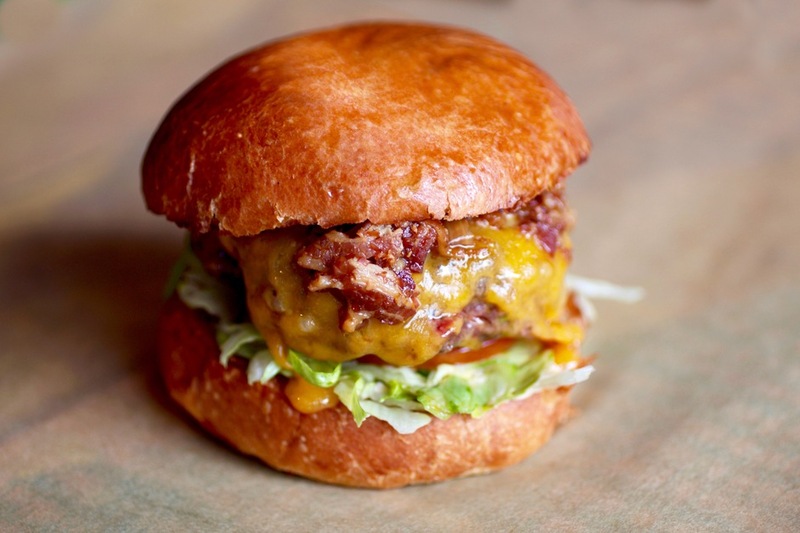 The best pubs near London Boom Burger. Boom Burger clubs, bars, cabaret nights, casinos and interesting nightlife. Where to have your meeting, conference, exhibition, private dining or training course near Boom Burger. From cheap budget places to stay to luxury 5 star hotels see our deals for Boom Burger hotels, including DoubleTree by Hilton London Hyde Park from 83% off.